#VHSeptember Video Challenge is Underway! 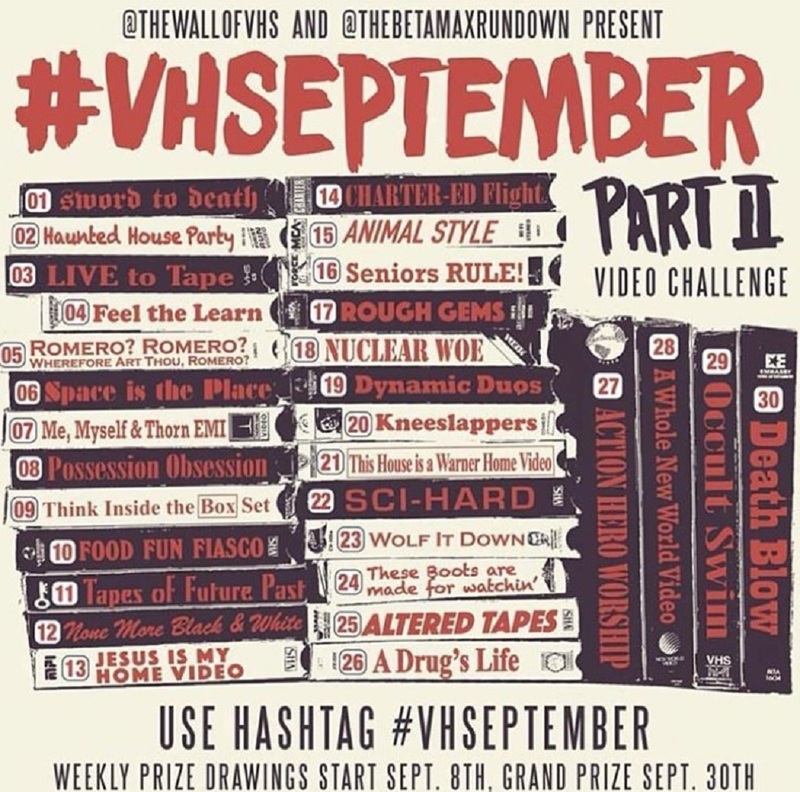 For the second year in a row, The Wall of VHS and The Betamax Rundown are hosting #VHSeptember Video Challenge over on Instagram. Each day of the month has a different theme that posters can use to highlight a tape (or tapes) in their collection. In addition to getting to see all of these amazing VHS collections, they’ve sweetened the pot by offering weekly prizes from super cool sponsors with a grand prize on September 30. I’ll be sharing my collection on my Instagram, and I hope you will too. I can’t wait to see all of your amazing tapes!